The global coiled tubing (CT) market was valued at USD 3,362 million in 2017 and is anticipated to grow at a CAGR of more than 6.1% during the forecast period. Coiled Tubing is a long metal pipe surrounded over a large reel on a well site for repair and workover activities. It is a continuous long metal pipe, which can be taken inside the borehole to the depth of up to 15000 feet. The diameter of the coiled tubing pipe ranges from 25 to 85 mm. Use of coiled tubing improves the well & reservoir performance. Coiled tubing is used in a variety of operations such as milling, drilling, rock fracturing, sidetracking, production tubing, low bottom hole pressure drilling, wellbore cleanout, mechanical isolation, and tube logging & perforating among others. There has been a significant increase in the energy demand worldwide, which drives the growth of the coiled tubing market. The increasing trend of horizontal drilling, and growing adoption of natural gas as a fuel has further accelerated the demand for coiled tubing. The decrease in oil production globally is expected to fuel market growth during the forecast period. There has been an increase in exploration & production activities, along with the increasing trend of developing unconventional oil blocks, which will boost the market demand during the forecast period. Other factors driving the market include favorable regulatory policies and growing government initiatives and support. Growing demand from emerging economies, technological advancements, and significant increase in investments in research and development is expected to provide numerous growth opportunities for Coiled Tubing market during the forecast period. The global Coiled tubing market is segmented on the basis of operation, location, application and region. Based on operation, the market is segmented into Pumping, Circulation, Logging, and others. Pumping operation dominated the global market in 2017. The location is segmented into Onshore, and Offshore locations. The onshore location segment dominated the global market in 2017 owing to growing exploration and production activities. On the basis of application, the market is segmented into Drilling, Well Cleaning and Completion, Well Intervention, and others. 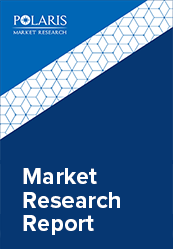 The Coiled Tubing market report comprises a detailed geographic distribution of the market across North America, Europe, Asia-Pacific, Latin America, and MEA. North America is further segmented into U.S., Canada, and Mexico. Europe is divided into Germany, UK, Italy, France, and Rest of Europe. Asia-Pacific is bifurcated into China, India, Japan, and Rest of Asia-Pacific. North America Coiled Tubing market generated the highest revenue in 2017 owing to increase in drilling and exploration activities, and growing energy demand. The leading players in the Coiled Tubing market include Halliburton Co., Weatherford International Ltd., Baker Hughes, Trican Well Service Ltd, Cudd Energy Services, Schlumberger Ltd., Calfrac Well Services Ltd., C&J Energy Services, Inc., Nabors Industries Ltd., and Archer Limited among others. The leading players in the market are introducing new innovative products in the market to cater to the consumers. Global players are entering new markets in developing regions to expand their customer base and strengthen market presence.